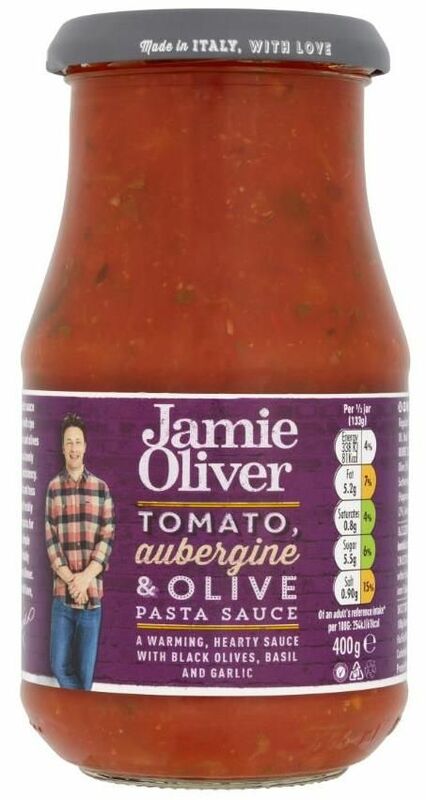 This rustic sauce is made with ripe aubergines and olives and has a lovely chunky consistency. Just heat and toss through freshly cooked pasta for a so-simple and totally delicious dinner. 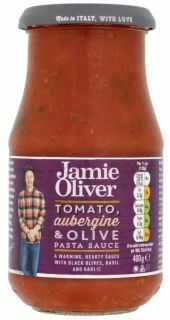 Tomatoes (70%), Aubergine (7.5%), Water, Black Olive (5%), Tomato Concentrate (4.3%), Olive Oil (2%), Sunflower Oil, Basil, Garlic, Salt, Chilli Pepper, Acidity Regulator: Lactic Acid.